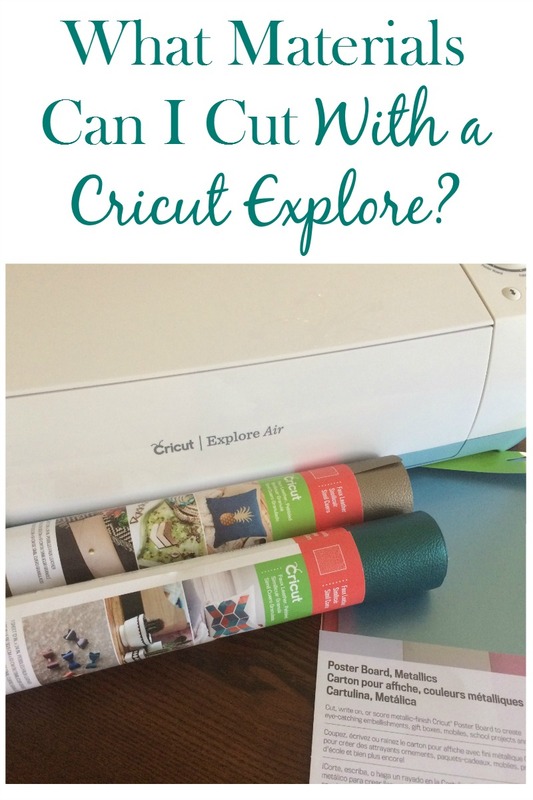 Did you know you could use your Cricut to cut materials other than paper or vinyl? When I saw a couple of my blogger friends making earrings out of faux leather, I had to try it! Cricut sells a faux leather, which I used in my Heart shaped barrette project, but I had real leather on hand, so I thought I would try it. 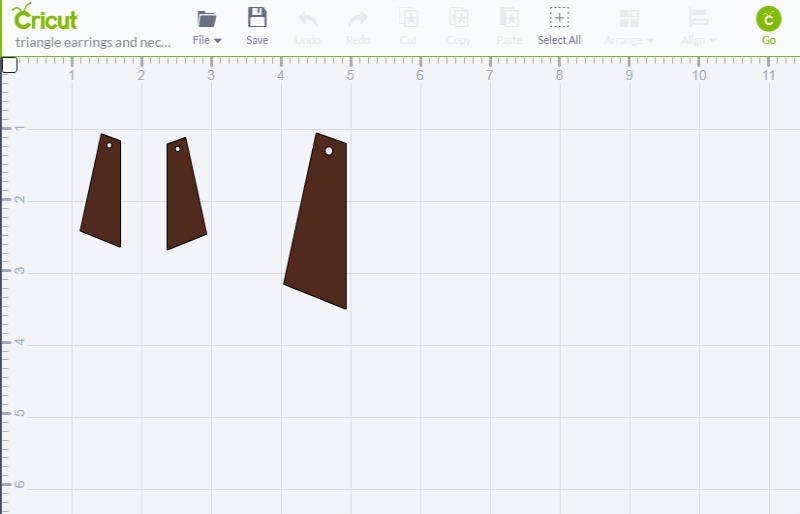 Using the Cricut Design space, I selected a Make it Now project and customized the rectangles to the size I wanted. Since the leather is thick, you will need a deep cut blade, which I did not realize until after my first cut did not go all the way through the leather. You will also need to choose "custom" for the material in the design space, since "leather" is not on the machine dial. Tip: If the material does not cut all the way through the first time, DON'T UNLOAD the mat. Press the "C" Button again and the machine will re-cut the material. 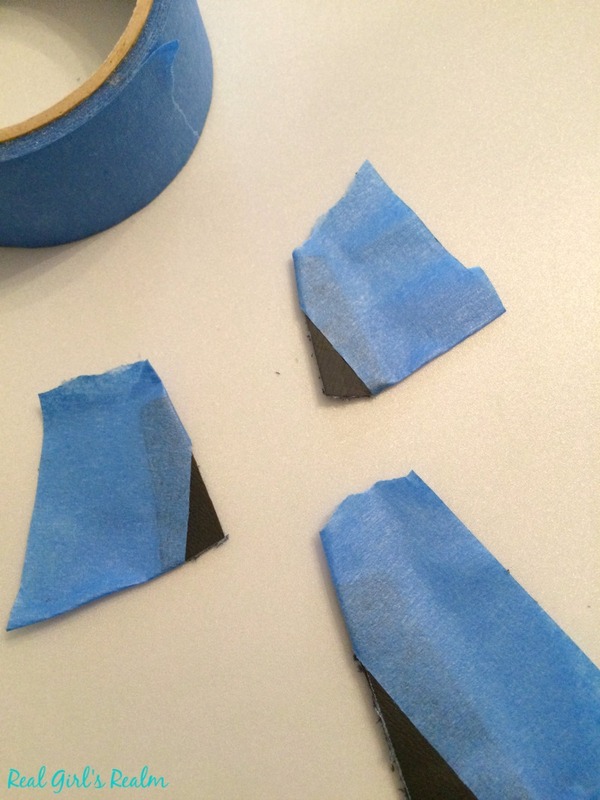 Once the pieces are cut, use the painters tape to completely cover the top half of the leather pieces. The only part that should be exposed is the area to be painted. I placed my tape on the diagonal, for a geometric look. 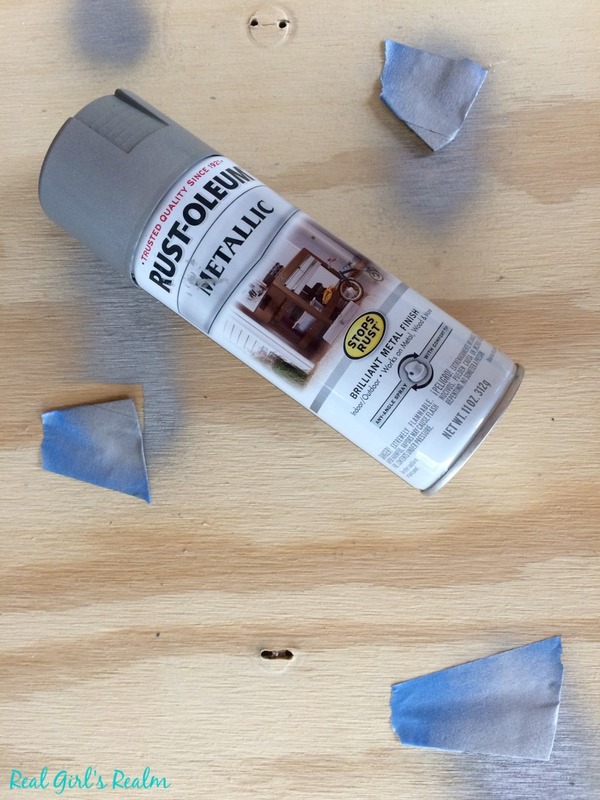 I placed the pieces on a board outside and sprayed a coat of metallic paint on the exposed areas. 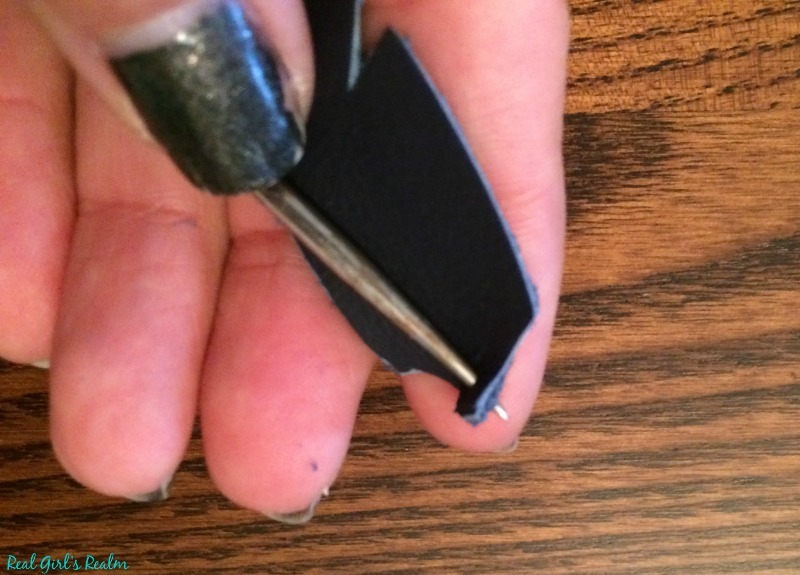 Once the paint has dried, remove the tape and use a needle to poke a hole in the top of each of the leather pieces. 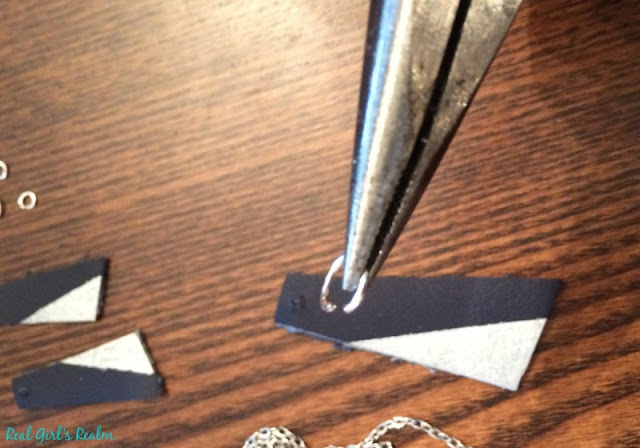 For the necklace, use the pliers to twist open the jump ring and thread it through the hole in the leather. 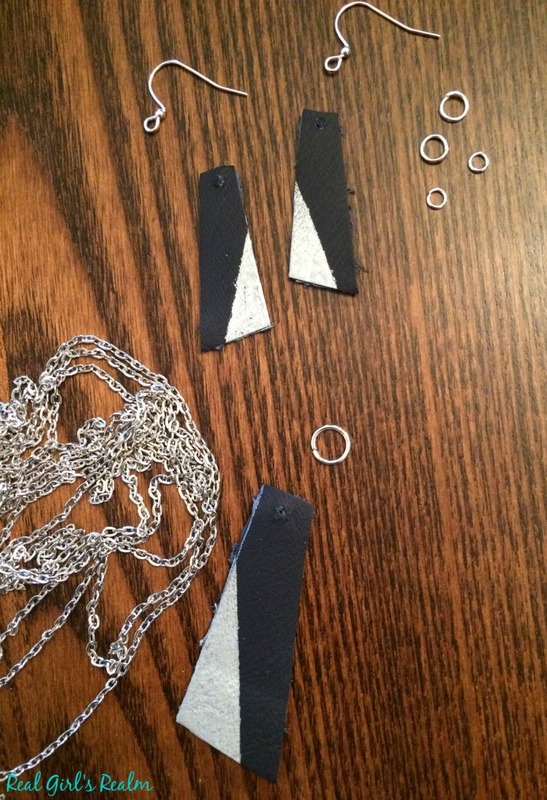 Slide the pendant onto your necklace chain. For the earrings, use the process above to attach the jump ring to the earrings, then attach the ring to the earring hardware. 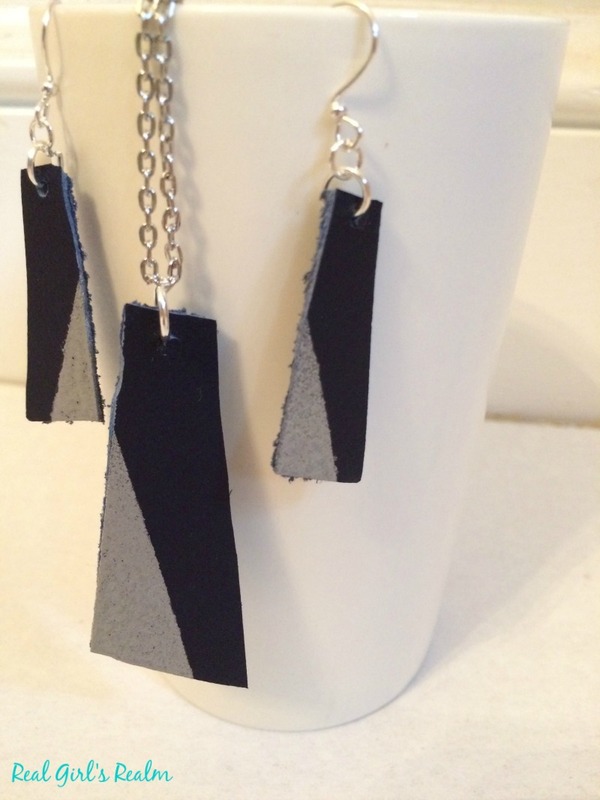 You now have a custom earring and necklace set that is the perfect addition to any outfit! 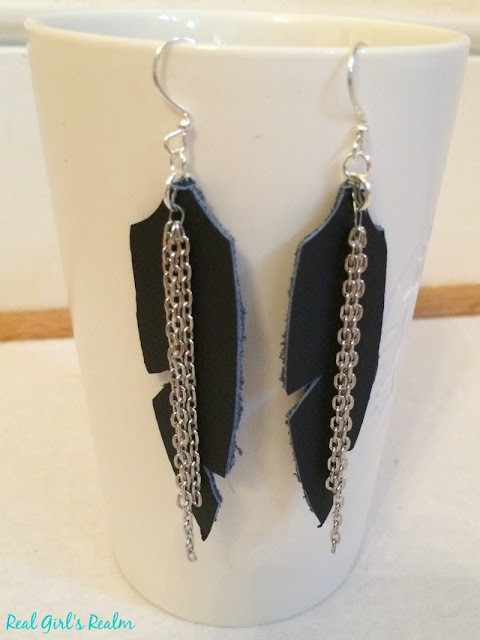 You can also use the chain to add some bling to your leather earrings, like I did with this pair of feather earrings. As you can see, the possibilities are endless on what you can create using your Cricut Explore Air! Let me know in the comments what your favorite material is to cut with your Cricut! I would have never thought of this, but was a neat idea!! I have a Silhouette Cameo, I'll need to see if mine can do leather. 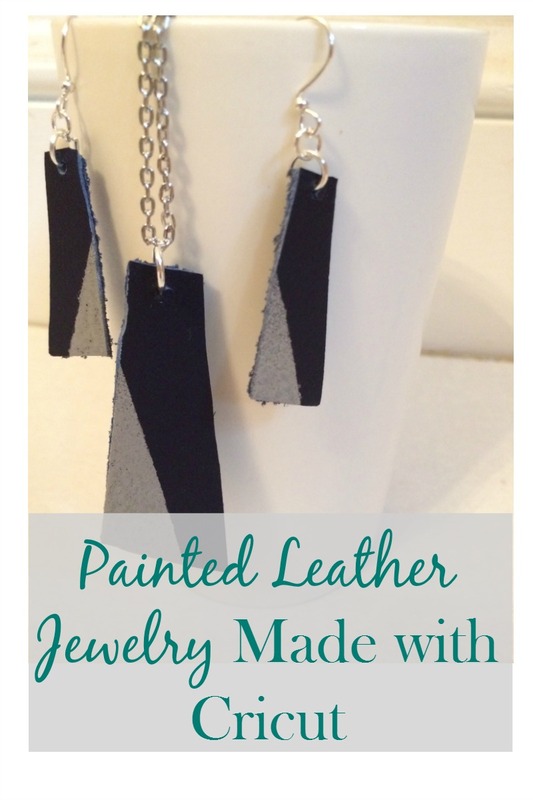 If it won't cut real leather, they make a faux leather that is thinner and works just as well. Wait. You made earrings with the Cricut?? They look SO awesome!! Seriously, Is there anything that this nifty little machine DOESN'T do!? How cool! I love the feather ones! I had no idea my cricut could do that!! I know! I learn something new everyday about my Cricut! What a cool project! I like the chic, modern, slightly abstract designs. Thanks for sharing this idea. Love those feather earrings! I really need a cricut in my life! Thank you! You really do! I didn't know how much I was missing!